Clean energy is derived from renewable, zero-emission sources, which includes of energy efficiency. I’m happy to see this question since energy efficiency (EE) can sometimes get lost in the conversation. I work at Oracle (via acquisition of Opower), and we believe that energy efficiency is an essential part of a clean energy future. Describe the first moment in which you knew you were going to pursue a career in clean energy? I studied environmental engineering in school and focused on water resource management . I traveled with the Engineers Without Borders student group on a two month trip to Honduras to build a maternity clinic in a remote mountain town, to address issues with at-home births. I worked with civil, electric, and mechanical engineering students to build the clinic, and with local installers to set up a solar system on-site. This was crucial for providing the clinic with a source of power and clean water. While on that project, I saw the impact that solar panels had on the community; without them it would have been impossible to provide the required services for growing families. It all started with providing a sustainable source of energy. What has been your favorite clean energy moment in your career and why? My favorite moment has been my transition into product management (with a nudge from CELI fellow, Jessica Bloom!). She encouraged me to apply to a position internally after I took a product management class with General Assembly. As product manager for the Home Energy Report, it has been exciting to learn from all the different groups (marketing, UX, sales, engineering) required to make a product successful. It’s so rewarding to be part of a team helping utilities serve their customers in a changing energy landscape. We also just reached 20 TWh of energy savings as a company - which is a milestone be proud of! What has been your favorite CELI moment and why? There have been so many awesome CELI moments! If I had to pick one, it would be our expansion to San Francisco. CELI has always been a great local community, but with the expansion to San Francisco, it made me realize how much this organization can accomplish. The San Francisco expansion brought a more diverse group of professionals to our community, especially from tech companies. By standing up a CELI fellowship program in a new city, different local influences take their own form and make us stronger as a whole. There are endless opportunities to learn from each other and partner together. How did you become involved in CELI? How are you still involved today? I was a fellow in Spring 2016. After my fellowship, I wanted to help others benefits from CELI, so go involved in recruitment. I loved being part of selection committee, by choosing who is in the class you are helping shape the future of CELI! Next, I saw a community need to improve how we communicate with each other. It’s amazing how much interaction we get in the Listserv but it was hard to know the full CELI community and leverage its potential.I started to think about how to better communicate and pitched Hivebrite to the Board. With the support of Liz and the leadership team we’re implementing now. It has been a rewarding experience and I’m excited to see how it strengthens our community. CELI made me more well-rounded in the energy industry. When I started at Opower, I had narrow clean energy industry knowledge. After CELI, I am comfortable having clean energy conversations ranging from technology to finance. A few sessions stood out, such as Jonathan Silver’s, where he explained how Tax Equity Advisors incentivizes companies to invest in sustainable funds. It’s hard to choose, but the #1 value is how much the members are willing to contribute. Not only to CELI, but to each other and to the clean energy movement. It’s so valuable to have a group of people that want to empower you and are invested in helping members of their community. 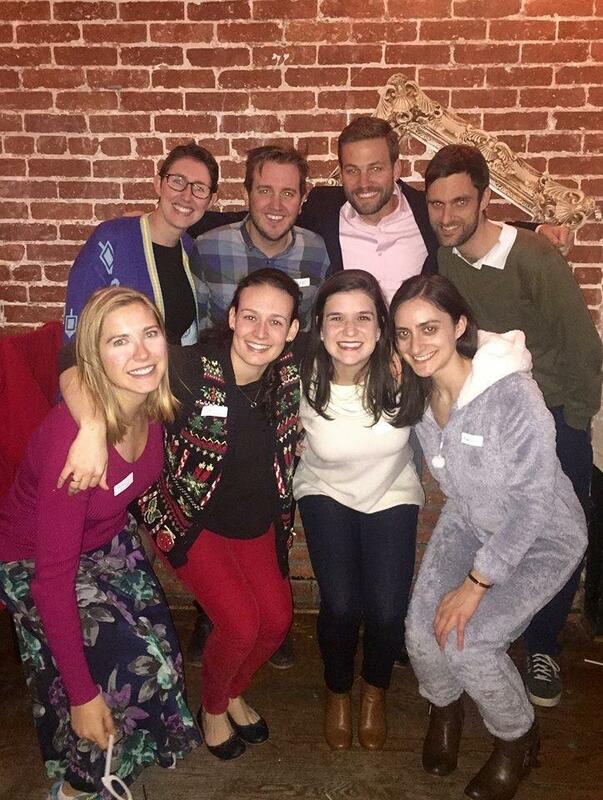 Fellows have gained so much from their CELI experience, that they’re eager to give back. I’m excited about Liz’s vision for CELI to become global and be the clean energy leadership organization. We have the people and determination needed to get there. It’s also exciting CELI is getting to a stage where past fellows can mentor incoming fellows and continue the growth and networking cycle. I’m grateful to be a part of CELI’s growth and look forward to seeing our vision come to life. Identify improvements and bring them to the leadership team! If you are not yet part of the CELI fellow community, you can participate in bootcamps, attend public CELI events, sign up for the newsletter, and come meet past fellows at our recruitment happy hours.